Happy Friday! I am settled comfortably on the couch with a wonderful cup of fresh-ground coffee. 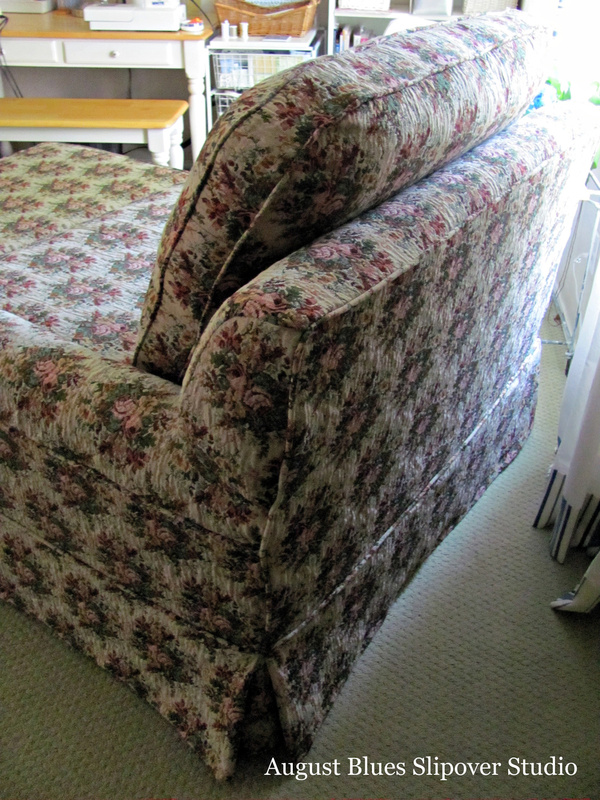 The sun is shining in and the work can wait, because I finally have a new slipcover project to share with you! And a back corner zipper closure. And, then we had to make sure the fabric would stand up to daily snuggles with the dogs, so we added "toppers" out of cotton duck.. It was difficult to capture the color correctly - it's hard to see, but it actually exactly matches one of the colors in the rose fabric and blends with other colors in the client's room. 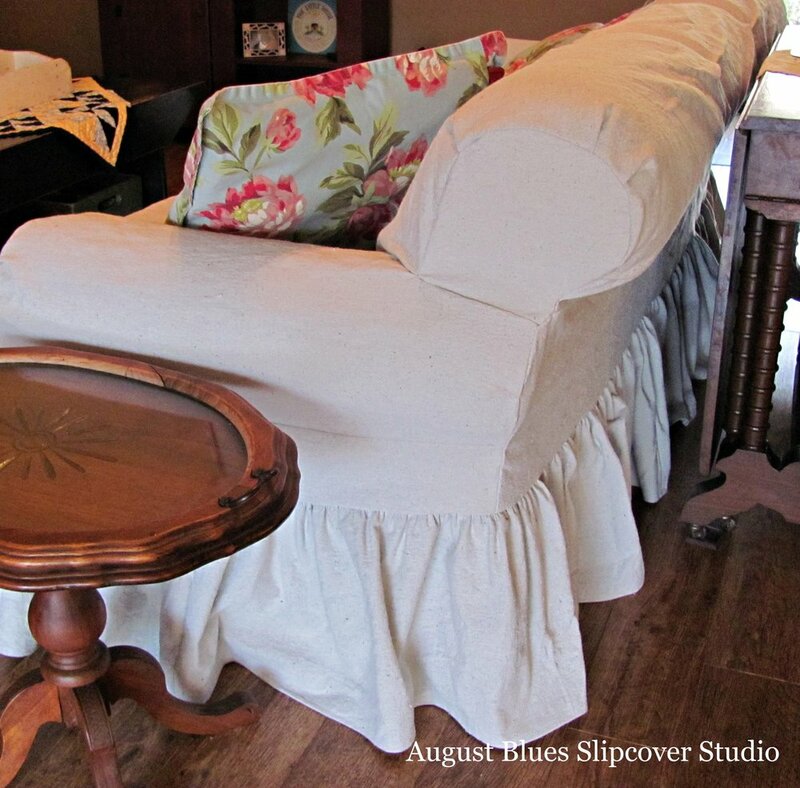 The ottoman topper just slips over the slipcover. 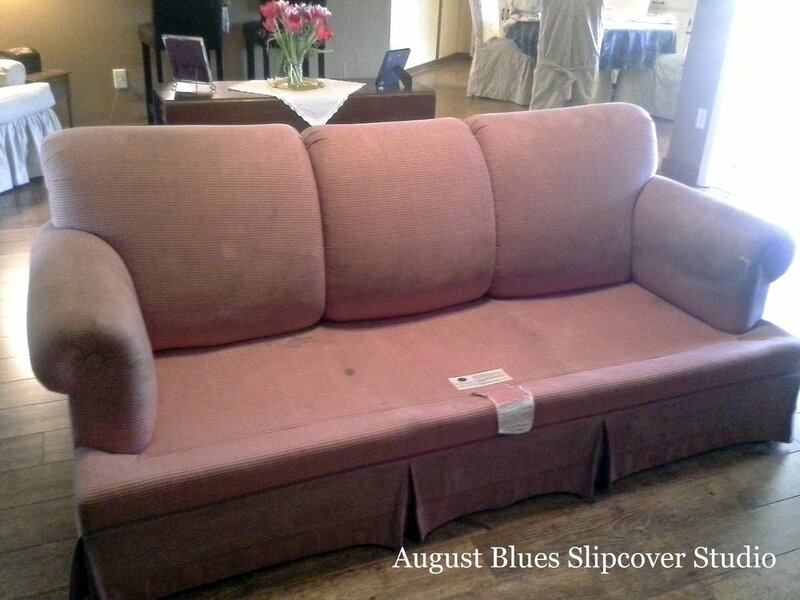 The cushion cover is banded all the way around and has an additional piece that runs underneath the "wings" of the t-cushion. 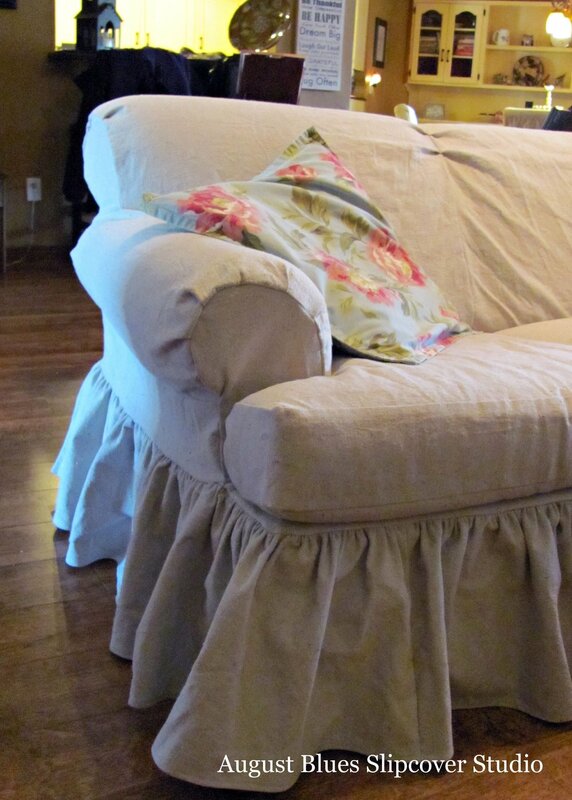 Ribbons hold the cover on (they are tied under the cushion). 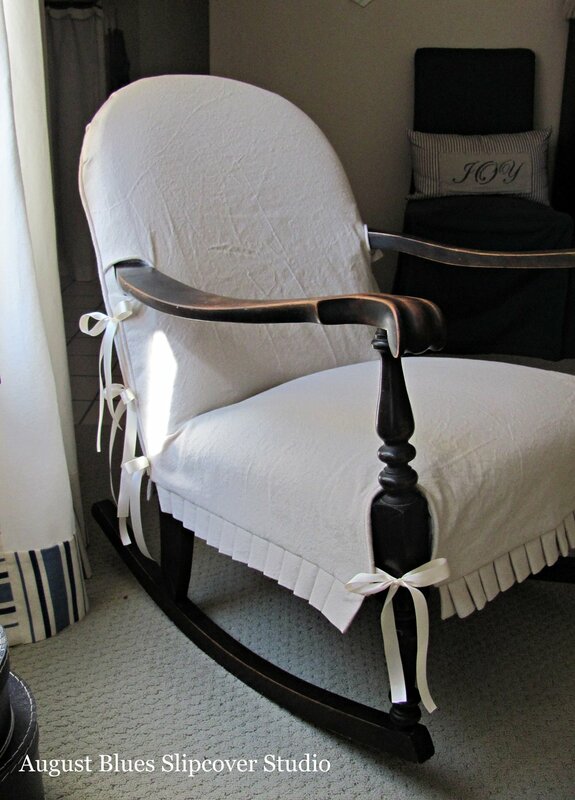 And, there you have it... upscale shabby chic! Well, this was a fun project! 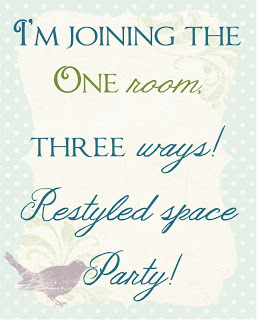 Have you seen the One Room Three Ways challenge? 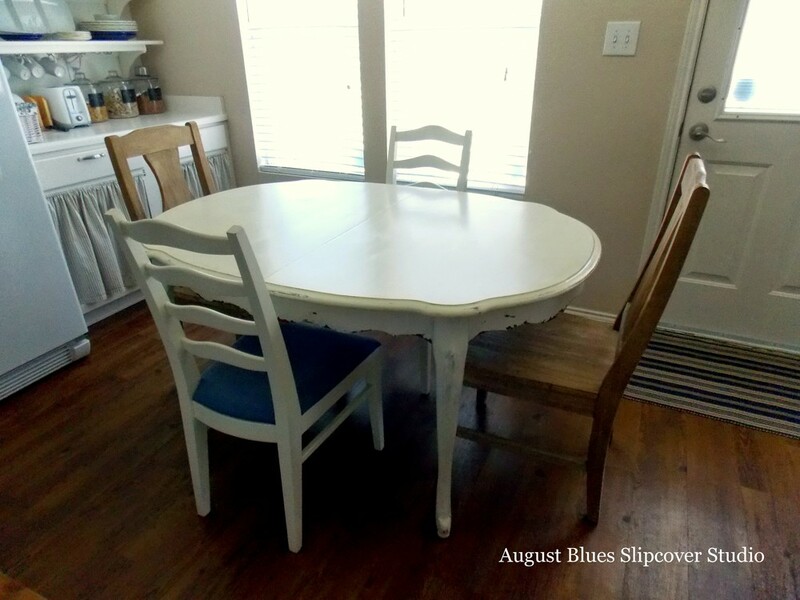 A group of bloggers were challenged to make over a room three different ways, with minimal expense, primarily shopping their home. So, I thought I would join in :) I decided to work on our front entry-way, a small (7 1/2' by 5') space at our front door; the stairs from our second floor also lead here. 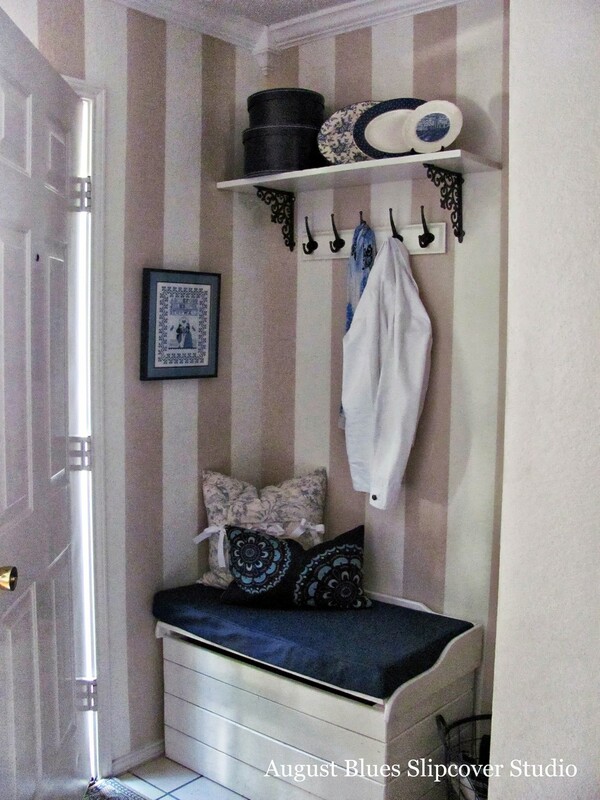 It opens directly into what should be the dining room, but it functions as my sewing room. Full-disclosure: I started making some more significant changes to this space a few months ago, so this project spurred me on to finish the job. This post will just focus on the "pretties" that finish off the space; I'll do another post at a later date with the larger before/after details. So, here we go - one room, three ways! This space has to live large so I try to include as much storage and function as possible. The look is simple and a little eclectic. Definitely pretty, and not so functional for a house with little boys! So, do you like to play with accessories? Do you have a signature "look" or do you mix it up?